Elegant curves abound in the timeless Joliette single-handle kitchen faucet. A people-pleaser whose fluid forms and user-friendly functionality complement a variety of kitchen settings, it stands 14 5/8 in. tall and features a spout that extends 8 5/16 in. in reach and gracefully arches to guide the water exactly where it's needed. It comes equipped with a GROHE SilkMove for a lifetime of smooth operation cartridge for easy, precise control of the water temperature and volume. Offered in durable and attractive StarLight Chrome finish ensures a scratch and tarnish-free surface for a lifetime. 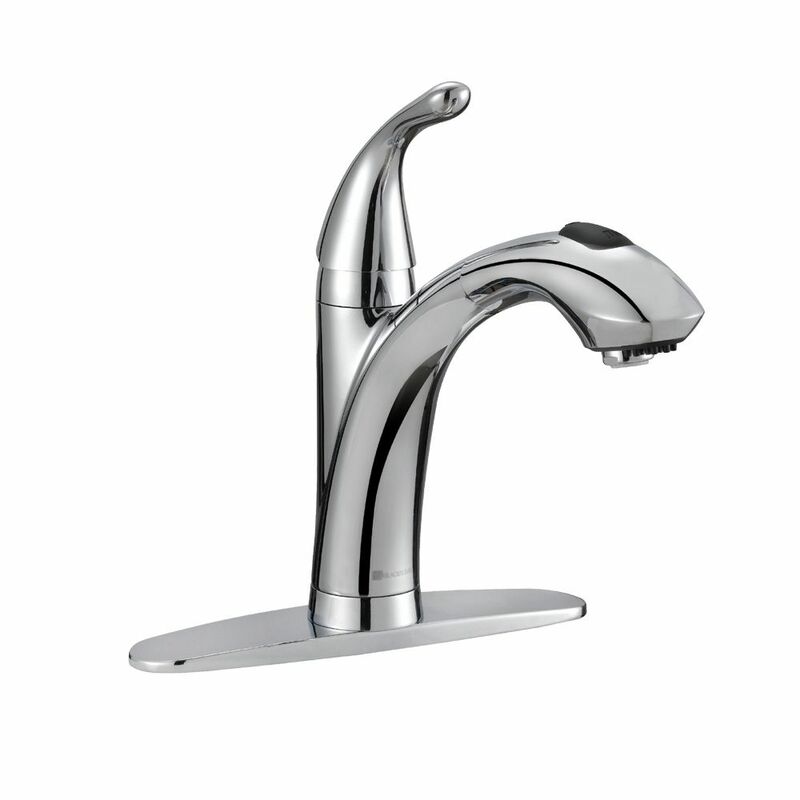 Keelia Single Handle Pull-Out Kitchen Faucet In Chrome Finish Glacier Bay brand Keelia 8 in. top mount pullout kitchen faucet is designed to transitional style. Its single lever handle meets ADA standards for ease of use in adjusting water temperature and volume. The pullout sprayer features aerated and wide spray options, as well as a 48 in. braided hose for extended reach, making it ideal for filling large pots and pans or washing down the sink. Durable and bright chrome finish is good for kitchen decor. Keelia Single Handle Pull-Out Kitchen Faucet In Chrome Finish is rated 4.0 out of 5 by 1.
what is this faucet water flow rate( GPM) for both aerated water and wide spray ? ?